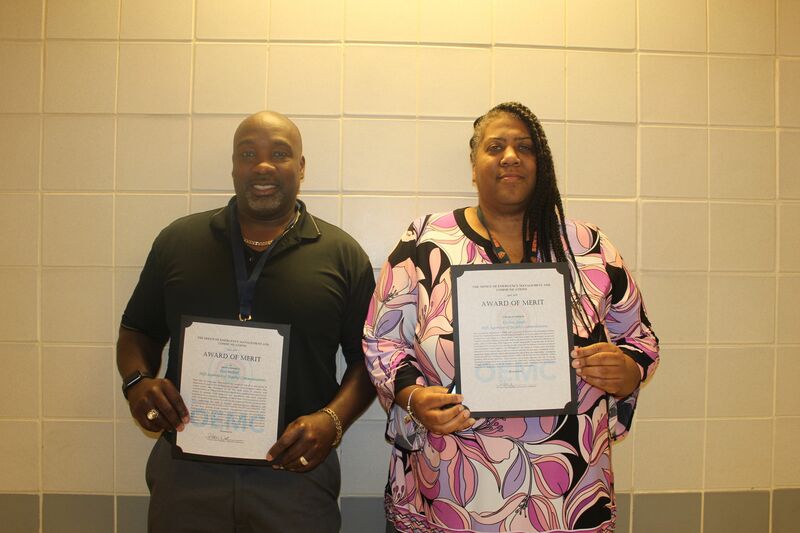 During National Public Safety Telecommunicators Week in April, Teamsters Local 700 members Paul Pollard and Krishna Joseph were given awards for their exceptional work as Shift Supervisors of Security Communications at the Department of Aviation. The SSSCC department is part of the Office of Emergency Management and Communications (OEMC), who also gave awards out to employees during their special week. Paul, who is also a Local 700 steward, was hired more than 25 years ago as part of a group of supervisors to assist in the development of a new communications center. He invested many work hours to help develop initial protocols and procedures that were originally established for a successful beginning of the O’Hare Communications Center (OCC). Congratulations to both Paul and Krishna on receiving these awards and for a job well done!